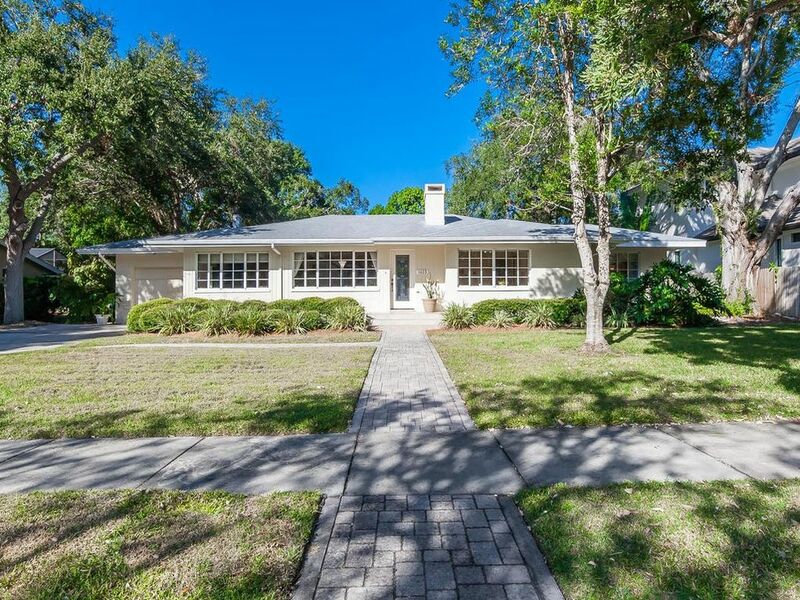 Cherokee Park is undeniably one of Sarasota's most sought-after neighborhoods and is the setting for this original four-bedroom, four-bath pool home that is full of character. This home boasts traditional and livable space now with “good bones” that lends itself to creative changes for your lifestyle. Bring your contractor or move in now and make changes as you see fit. There are original oak floors throughout with a master en-suite addition, roomy walk-in closets and garden courtyard views. Surrounded by multimillion-dollar homes, this oversized lot is located a quiet distance from Osprey Avenue and sets the stage for a possible tear-down to build your own dream home. Don't miss this rare opportunity to own in this desirable West of the Trail community with a high Walkability and Amenity score. Located just minutes away from Southside Village, Sarasota Memorial Hospital, Southside Elementary School, Marina Jack's, coveted Selby Botanical Gardens, downtown Sarasota and the world-renowned crystal sandy beaches of Siesta or Lido Key. Click on the virtual tour for more photos. Don't wait, make your offer now.